Where are luxury brands headed to next? The rise of consumer incomes in countries like India, Vietnam and Thailand appears to correspond with an increase in luxury spending habits in these markets. This is great news for luxury brands, but on the flipside, it seems that shoppers in China and Hong Kong are losing their penchant for luxury goods. These findings are the result of a survey done by market research company Agility at the end of 2015. 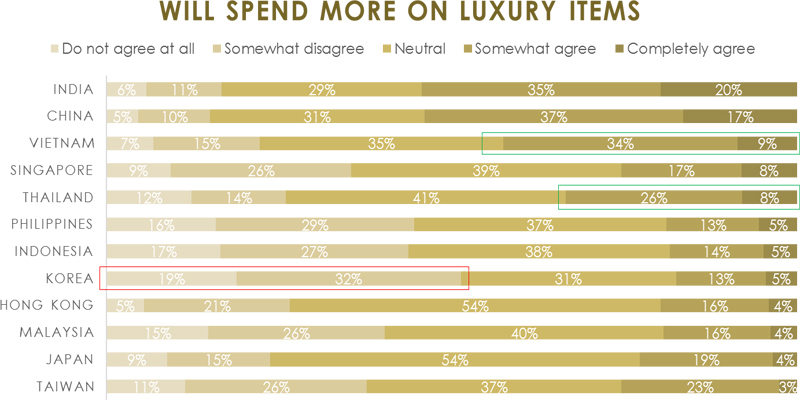 The research, which involved interviews with over 2,400 luxury consumers, sought to understand the general outlook for luxury spending in 12 Asian markets, namely India, China, Vietnam, Singapore, Thailand, the Philippines, Indonesia, Korea, Hong Kong, Malaysia, Japan and Taiwan. 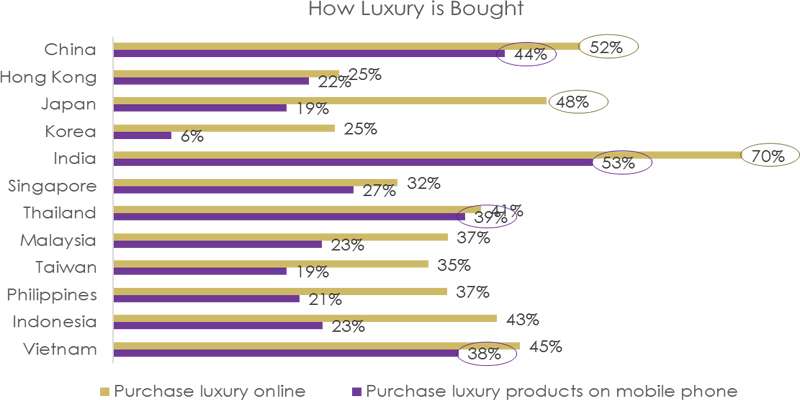 The study revealed several other interesting findings: For one, not only are Indian luxury consumers more likely to increase their spending on luxury goods compared to consumers in the other Asian markets, they are also more likely to purchase these products online, and particularly on mobile phones. Another key discovery: consumers in Vietnam in Thailand are fast embracing the online luxury-shopping trend, and in fact, are ahead of most other markets in the region in terms of using mobile phones to both research and purchase luxury products. 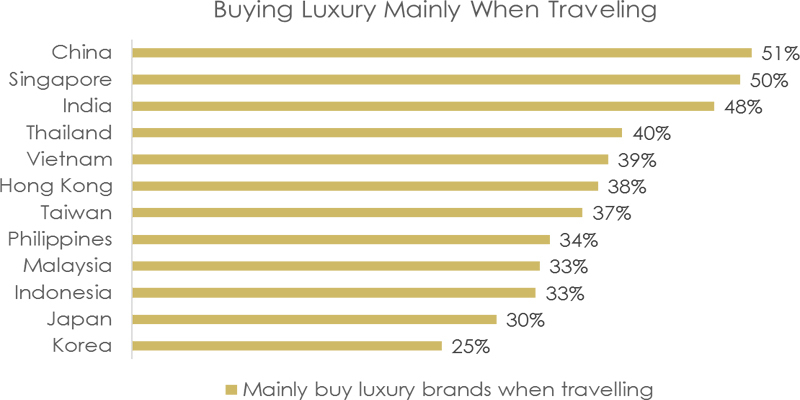 It was also found that that almost one in two Indian luxury consumers buy luxury products primarily when travelling, while amongst luxury consumers in Thailand and Vietnam, that figure is two in five. These findings are imperative for luxury brands that are looking to extend their reach in Asia. Instead of striving to maintain or even expand their growth in established Asian markets, they may wish to focus their efforts on those countries that are predicted to be the next big luxury markets – in particular, India, Vietnam and Thailand. In addition, luxury brands may wish to boost their presence in the digital and travel retail sectors, so as to tap into the upward trends of online and mobile luxury shopping, and of purchasing luxury goods while travelling.